Dr. Guzman was on his cell phone during examination. Not very helpful on options available to me because of my isuramcethroug medi-Cal. The medication I've been on before that helped he said he could prescribe only at such a low dose which doesn't work. I now have to wait 30 days until he will give me a referral to get the meds which prove effective. Dr. Guzman was on his cell phone during examination. Not very helpful on options available to me because of my isuramce throug medi-Cal. The medication I've been on before that helpedhe said he could prescribe only at such a low dose which doesn't work. I now have to wait 30 days until he will give me a referral to get the meds which prove effective. 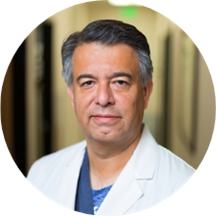 Dr. Benny Guzman is a family medicine doctor in Chino Hills and Fontana California and is affiliated with multiple hospitals in the area, including Chino Valley Medical Center and Pomona Valley Hospital Medical Center. He received his medical degree from the Drexel University College of Medicine. Dr and staff very pleasant! Saw a Dr other than Dr Guzman Like her very much found a primary care Dr I like. Great! Wonderful personnel working in the office and Dr. Guzman was very knowledegable and friendly. I am a patient of his from now on! Thank you.